The Department of Social Work organized a 2 day workshop on Participatory Rural Appraisal for MSW 2nd Semester students on 22 and 23 November 2013. 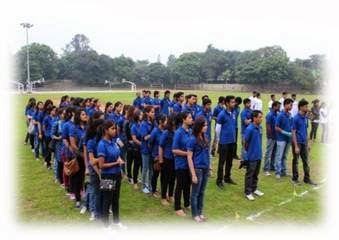 The resource person for the programme was Mr.
On the first day the students were divided into 4 groups namely Smurfs, mission mark, toilers and plan-B. The resource person discussed the theoretical aspects of PRA with the group. He explained the definition and principles that form the basis of PRA, the principles i.e. participation, flexibility, teamwork, optimal ignorance and systematic approach. Ranjeet Kumar Singh, Programme Manager, Centre for Social Action. The objectives of the workshop were to familiarize the students with the basic concepts of PRA and its importance, usage and application in community-need analysis process, to introduce the different tools used in PRA and to develop skills in conducting PRA exercise with communities. The second part of the discussion on the first day was on the tools of PRA namely social mapping, wealth ranking, transect walk, resource mapping, seasonality analysis, time line and trend analysis, Venn diagram, matrix scoring and skill mapping. Day one of the workshop was used to make the students familiar with the concepts of PRA and its usages. On the Second day the teams were given specific techniques to be implemented in PRA to find out the issues and understand the process of PRA by its application. 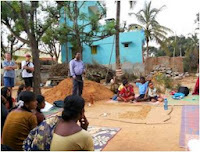 The students were taken to Hoskote Village for the practical application. The Toilers were given the responsibility to implement seasonality analysis and resource mapping, Plan-B was given Wenn diagram and social mapping to implement, Smurfs had to implement transect walk and Mission mark to implement wealth ranking and matrix ranking. The students after the hands on experience had an evaluation session where each team presented their learnings and challenges. The mistakes and shortcomings in conducting PRA were discussed by the resource person. Overall it was good learning experience for the students. The fifth Workshop for Teachers and Educators was organized by the Department of Psychology on November 15-16, 2013 at Christ University. The workshop provides a common platform for schools teachers, administrators and counsellors to discuss various issues related to current trends and research in the field of Educational Psychology.This year 27 participants registered for the workshop and consisted of middle and high school teachers and administrators from schools across Bangalore and teacher trainees from the School of Education, Christ University. The workshop was inaugurated by Prof.Mallika Krishnaswami, Dean, Humanities and Social Sciences and Dr.Tony Sam George, Head, Department of Psychology. Dr.Tony welcomed the participants and introduced them to the relevance and objectives of the workshop. The theme for this year was CreatingPositive Learning Spaces and focussed on two contemporary topics namely – Diversity in schools and classrooms and Student Empowerment. Prof. Mallika Krishnaswami, in her opening address, spoke about the changing nature of education and the rapid strides being made towards virtual learning and technology in classrooms. She also spoke about the increasing challenges faced by both teachers and students today, and the need to blend old school values with modern innovations. 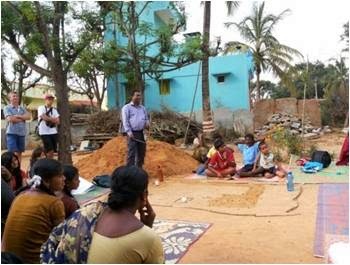 The formal programme was followed immediately by an ice-breaking session by Stephen Samuel who set the tone for heightened participation in the workshop. The first session of the workshop was facilitated by Baiju Gopal on the topic “Recognising diversity in schools and classrooms”. The facilitator contextualized the topic by engaging the participants in activities that enabled them to reflect on the concepts of uniqueness and individual differences, the relevance of multiple identities in today’s world and rejecting the idea of a melting pot. The focus of the session was the importance of recognising and respecting differences and preserving them in educational contexts. The second session was facilitated by Stephen Samuel on the topic “Dealing with Diversity in classrooms”. He specifically focussed on two aspects namely understanding diversity in learning styles among students and using culturally relevant pedagogy. He encouraged teachers to become more culturally responsive through self-reflection, exploration and appreciation. The sessions for the latter half of the day were facilitated by Deepali Sharma. The topic on “Identifying children with Special Needs” although vast was effectively dealt with as the facilitator chose to focus on Attention Deficit Hyperactivity Disorder (ADHD) and other comorbid conditionssuch as anxiety and learning disabilities. The session that followed was on “Dealing with inclusive classrooms”.The facilitator used an interesting combination of case studies, research findings and engaging anecdotes in the session. She also emphasised on the importance of following systematic procedures of brainstorming, observation and recording among educators if inclusion needs to be effective in mainstream education. The theme for the second day was Student Empowerment. The tone for this was set by Anuradha Sathiyaseelan who facilitated the first session on “’Defining Empowerment”. She spoke about the 3 E’s of education namely – enabling,engaging and empowering students.She emphasised on the long-term benefits of empowerment such as gaining knowledge and self-awareness,learning that is self-initiated and personal responsibility. This was followed by the session on “Empowering students through positive life values and self-regard” by Padmakumari. Using the Self theory by Carl Rogers as a framework, the facilitator conveyed the importance of unconditional positive regard and a positive self-image. The activities were simple yet thought-provoking as participants were challenged to reflect on the A (Activating situation) -B (belief) – C (consequence) of their self-talk, their strengths and weaknesses and their value system. The focus of the workshop then shifted to addressing practical ways of empowering students and this was facilitated by Elizabeth Thomas who spoke on “Classroom practices to promote empowerment ”. 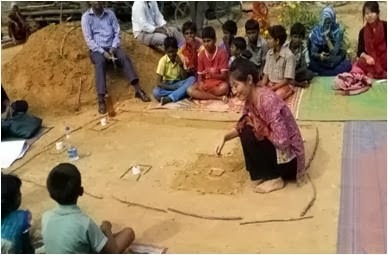 She focused on the importance of democratic learning experiences and enabling students to “learn to learn” as opposed to the traditional teacher –centred method. Through a mix of an instructional video and a hands-on group activity she discussed how Project/Problem Based Learning (PBL) could be an effective classroom pedagogy to promote student empowerment. The session on “Pedagogical practices using multimedia in classrooms” was facilitated by Upagya Rai. She contextualised her session by an extensive look at the history and origins of teaching and pedagogy and how multimedia represents the face of modern education.Some of the Interactive online resources that were discussed were Poll everywhere, Jing, UStream, Media convert, Prezi and Teachertube. This was followed by a session on “Cultivating student empowerment through the teacher- parent partnership” by Miriam Mohan. 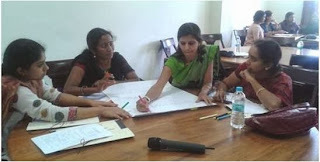 The session started off with a role-play between parents and teachers through which the positives and negatives of the interaction were reflected upon. She emphasised on the importance of a “goodness of fit” between parents and teachers which can be initiated by examining the approach, attitudes,atmosphere and actions that can maximise the effectiveness of the partnership. 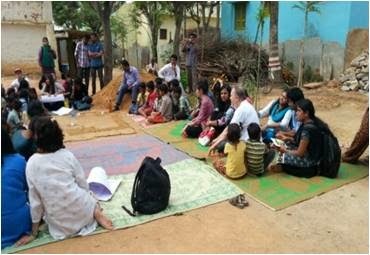 The participants were encouraged to identify activities such as homework, school programmes and so on that can be used as common ground on which to build this partnership. The two-day workshop was effectively summarised by Tony Sam George through open feedback and reflection from the participants. He also mooted the idea of offering online teacher courses for teachers by the Department of Psychology in the near future and hoped that this would help build more effective interaction between school and university spaces. On the whole the workshop was well-received by the participants and initiated a thoughtful approach to create more positive learning spaces in their respective institutions. The feedback given was encouraging and constructive.One of the points for consideration for subsequent workshops was to have fewer sessions and more time devoted for each session. The organizers wish to place on record the immense help rendered by the faculty of the Department of Psychology who contributed meaningfully in generating the themes for the workshop, publicising the workshop, facilitating sessions, and playing supportive roles during the various sessions. The Department of Psychology, Christ University organized a three-day workshop on the Therapeutic Process of Psychoanalysis, from October 16 -18, 2013. The workshop was facilitated by Dr. Jhuma Basak, a Training Analyst of the Indian Psychoanalytical Society, Kolkata and a member of Psychoanalytic Associations in Kolkata, London and Japan. Dr. Basak holds a deep interest in cultural psychoanalysis. Currently she is an Associate Professor in NSHM Knowledge Campus, Kolkata in the Institute of Media & Design. She has her own private practice as a psychoanalyst and is a consultant of the Crystal Clinic, Kolkata. The workshop began with the welcome speech by Tony Sam George, Head, Department of Psychology, who spoke of the long-standing association that the department shares with Dr. Basak, and contextualized the need for the workshop. This was followed by a brief address by the guest of honour, Prof. Mallika Krishnaswami, Dean of Humanities and Social Sciences, who expressed her enthusiasm for the discipline of psychology. The first day focussed on a brief introduction of the fundamental ideas of psychoanalysis with major emphasis on the conceptualisation of the analytic space through the case study of Anna O. A reading of Dr. Basak’s own case studies helped in understanding the process of therapy and the documentation of cases in psychoanalytic work.The discussion that followed was insightful. The second day was divided into two parts. The focus of the first half was a journey into the process of becoming an analyst and covered issues of training, personal analysis, institutes and memberships and was presented through videos and personal experiences. The latter half was a dialogue on the processes of free association and dream analysis, which guide the “talking cure.” Ethical issues, case history taking, and a one-to-one interaction to understand the individual therapeutic process took up most of the third day. The last session of the third day was devoted to feedback and existing queries were answered. The workshop formally ended with certificate distribution and an end-note address by Baiju Gopal. The workshop was a one of a kind experience where a practising analyst shared a glimpse of the actual therapeutic process in psychoanalysis. It did considerable justice to its objective of stimulating a dialogue among a group of professionals on certain core areas of psychoanalysis. Overall the workshop was very well-received by the participants and the general consensus was that the learning gleaned from the workshop was significant and insightful. 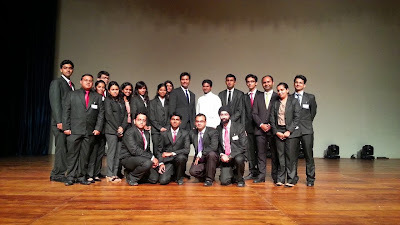 The refreshing and bracing winds started to blow in Christ University Institute of Management with the introduction of “Talk with the Extraordinary” Series organized by “External Fest Committee” kick starting the session with Mr. MittuChandilya, CEO of Air Asia India on 13th November 2013.The session drew huge attention and built a lot of steam from the time the session was announced in the campus. Everything started with a huge applause and Mr. Chandilya talking about the important people in student’s lives and engaged them with his nostalgic and consummate speech.The session was inspiring with awe and respect from the students who realized the vast knowledge that Mr.Chandilya imparted during the talk that ranged from narrating his past to his determination and dedication that he possess towards his new venture – Air Asia India.He covered topics ranging from his early days in India, where he did some amazing things like painting for charity and how he gained the I.Q. from his father and E.Q. fromhis mother, to his graduation life in the U.S. which enthralled students for about 30 minutes during his talk and concluded the talk by briefing about AirAsia,describing it as a fairytale and how every employee is treated equally in the organization. When he opened the Question & Answer sessionfor the audience, he was overwhelmed with the number of questions that were raised by the audience who were moved by his talk. Mr.Chandilya was extremely receptive of the enthusiasm showed the audience, which showcased his personality of humility and passion. 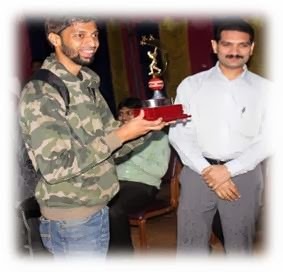 In the end he advised studentsfor their placements and drew insights on the expectations of recruiters which were followed by the lovely dance performances and the National Anthem concluded the event. Given the success of this curtain raiser event, the college has widened its scope and raised bars as a B-School of potential holistic education. 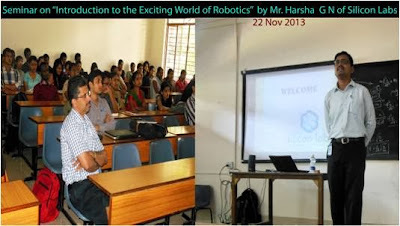 Electronics Club had arranged a seminar on Introduction to the exciting world of Robotics for the Second year students (PME & CME), on 22 Nov 2013 from 12 to 1pm in Room 617, First floor, Block II, Christ University. The resource person was Mr. Harsha G N, from Silicon Education World Pvt Ltd (Corporate Finishing School, Silicon Labs), Bangalore. Mr. Mukund N Naragund, Faculty in charge, introduced the resource person to the audience and briefed about the topic for the seminar. Mr. Harsha G N started his talk with a brief introduction to his organization and products and training programmes offered by the organization. He explained with a power point presentation, the building blocks of a typical Robot quoting several examples. He interacted with the students by asking some application oriented questions. He showed a few videos to the audience on what are the actual electronic components, mechanical parts used etc. students enjoyed the videos. Mr. Harsha then explained about their workshop on Robotics for college students and informed them regarding a national level Robo-competition to be held in Bangalore. He requested the department of Electronics to help in hosting this event by providing space and other basic facilities. He concluded his talk with an invitation to students take up the course in Robotics which is a challenging and also enjoyable one. It was a good exposure for the students listening to a talk from expert in the field. On behalf of Electronics Club, Ms. Srividya of IV PME proposed vote of thanks. All the faculty members from department of Electronics attended the seminar. Ontrack is the Corporate Cricket and Throw-ball Tournament organised by the students of Master of Tourism Administration (Department of Tourism Studies) for members of the travel, tourism and hospitality industry. Ontrack – 2013 was organized on November 16 at the Christ University Grounds from 08:45 AM onwards. The event was inaugurated with the first ball and bat by Dr Satinder Singh Duggal, Dean – Commerce and Management and Dr Tomy K Kallarakal, Head, Department of Tourism Studies. 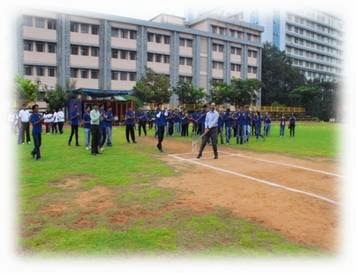 This year Ontrack witnessed the participation of fifteen corporate teams for Cricket and three teams for Throw-ball. Cricket matches set off to an exciting start, with the two matches between Taj Vivanta and Enchanting India, and American Express and the Students of MTA. Matches were held simultaneously at the Christ University and Dharmaram Grounds. The Throw-ball matches commenced at 11:00 AM. Though the matches were slightly interrupted by rain in the early evening, it was the spirit of the players to continue playing under wet conditions, that Ontrack – 2013 could come to an end on a winning note. The Presentation Ceremony for Ontrack – 2013 was held at 06:00 PM at the Dharmaram Ground. 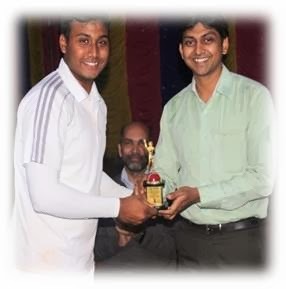 The winners for Ontrack – 2013 were Yatra for the Cricket Tournament and American Express for the Throw-ball Tournament.